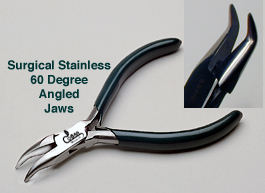 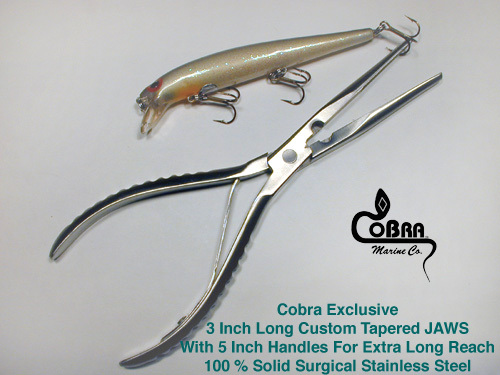 The Perfect size for ALL uses, this Eight Inch Needle Nose is manufactured from the Highest Quality Surgical Stainless Steel combining professional Box Joint construction and the EXCLUSIVE CoBra Professional Extra Long 3" - Custom Tapered - Serrated JAWS. 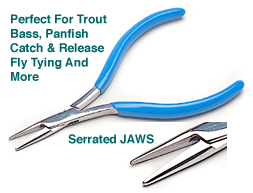 These JAWS were inspired by netting The Balihoo for offshore fishing. 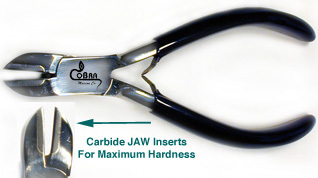 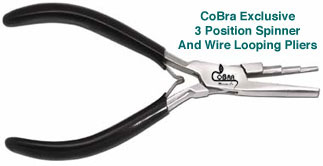 The handy Side Cutter performs in tough applications and this tool is paterned for comfort, durability, with full stainless leaf spring, keeping the handle ready for use combined with a tapped handle for application of a lanyard.